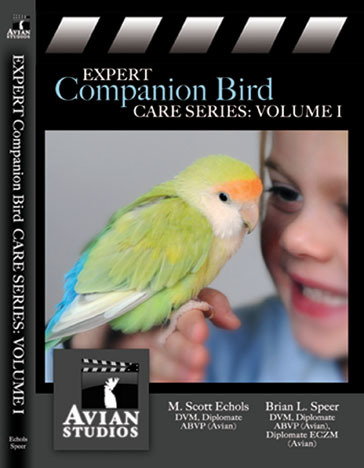 The Expert Companion Bird Care Series Volume I is the first volume in a comprehensive DVD series created by recognized avian veterinarians, teachers, aviculturists, enthusiasts and pet store owners. Drs Scott Echols (author of Captive Foraging) and Brian Speer (author of Birds For Dummies and The Large Macaws) work with world renown avian educators to bring you the best information on bird care. This DVD is packed full of information every bird owner should know!